The tumbling block quilt I talked about in my last post is finished and ready to be shipped off to Sweden. It measures 47″ x 45″. I saw some pictures made by Hungarian-French artist Victor Vasarely when I was quite young and was fascinated by them. 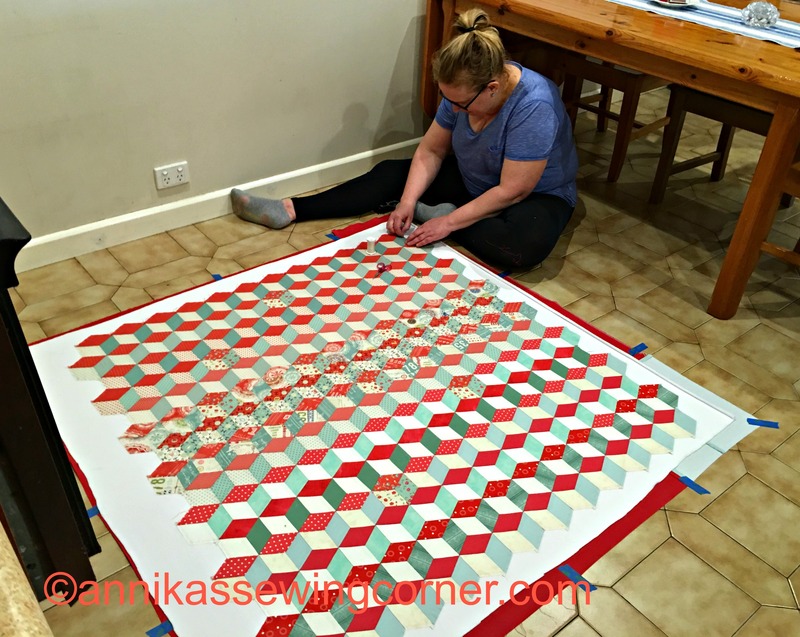 When I started to quilt about 10 years later I came across a book called Quilts! Quilts! Quilts! by Diana McClun and Laura Nownes. The book had a pattern that was called Tumbling Blocks and since then I have said I was going to make one. That was 20 years ago. I started out with a layer cake from Moda Fabrics because the colours were perfect but some of the fabrics were to busy so I didn’t use all of it. I bought some and used some from my stash to finish it of. 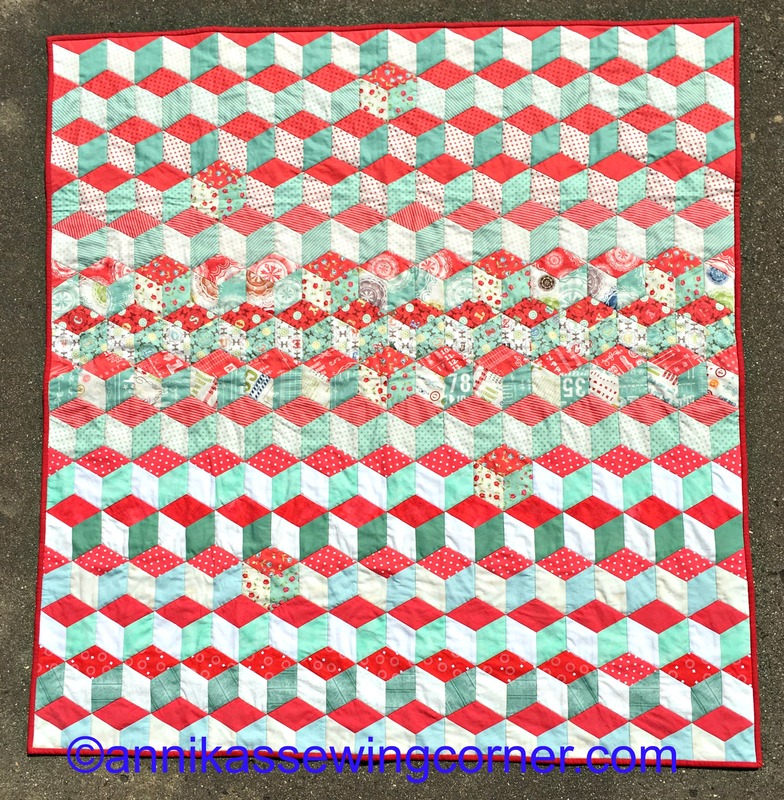 You can see on row 6, 7 and 8 that the 3D effect isn’t as obvious as the rest of the quilt. 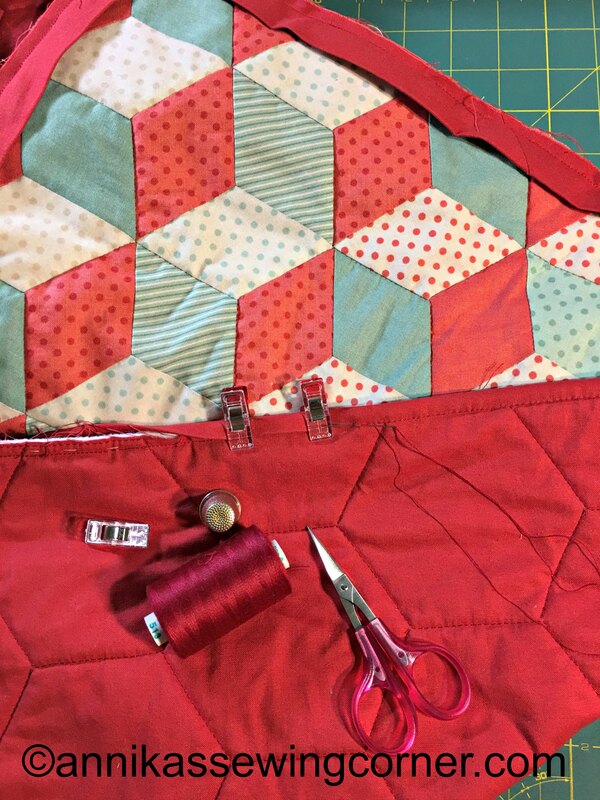 I used a red quilting cotton for backing and white polar fleece for batting. I know the polar fleece is a odd choice but it is warm and lightweight. I spray basted it on my kitchen floor and then hand basted the edges together. 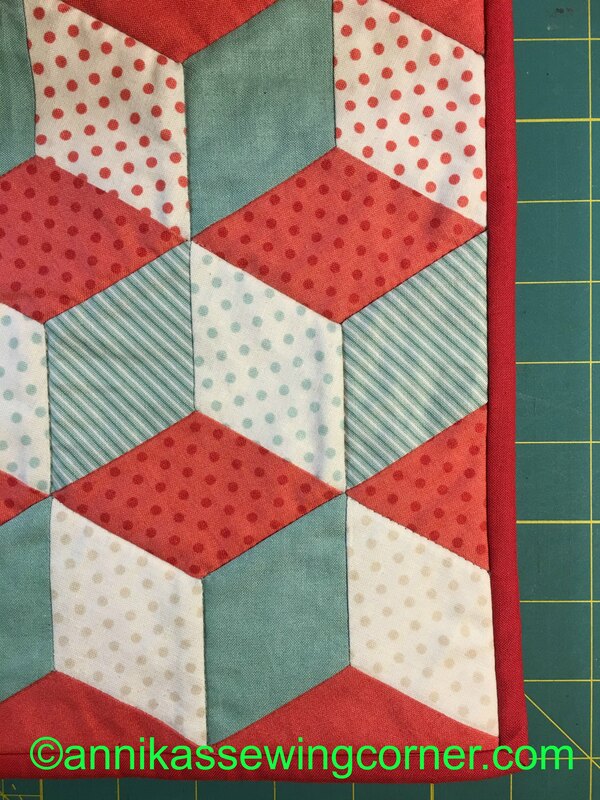 I quilted on the seam (“in the ditch”) around each block. 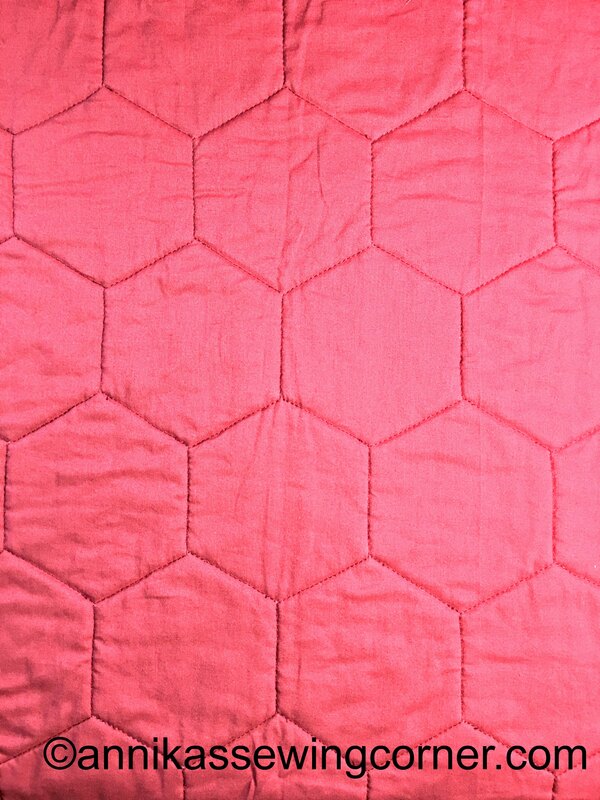 That gives the quilt a hexagon pattern on back. I used my normal domestic sewing machine. I cut the edges straight before I put on binding using the same fabric as for the backing. I cut 2″ strips for the binding that I slip stitched in place by hand on the back of the quilt. I like it when there is no borders, just the blocks and the binding. I made a label with my normal sewing machine that I hand stitched in place. 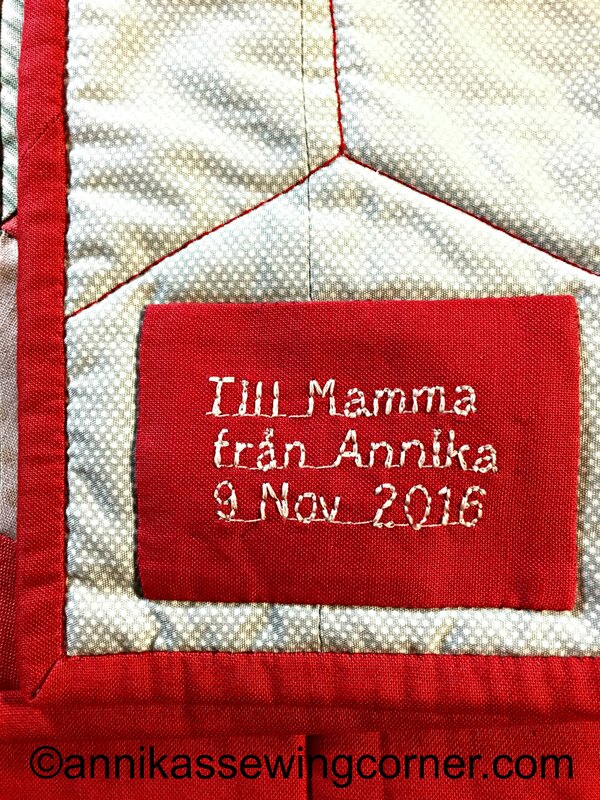 It says “To Mum from Annika” in Swedish and it is for her 80th birthday in November. 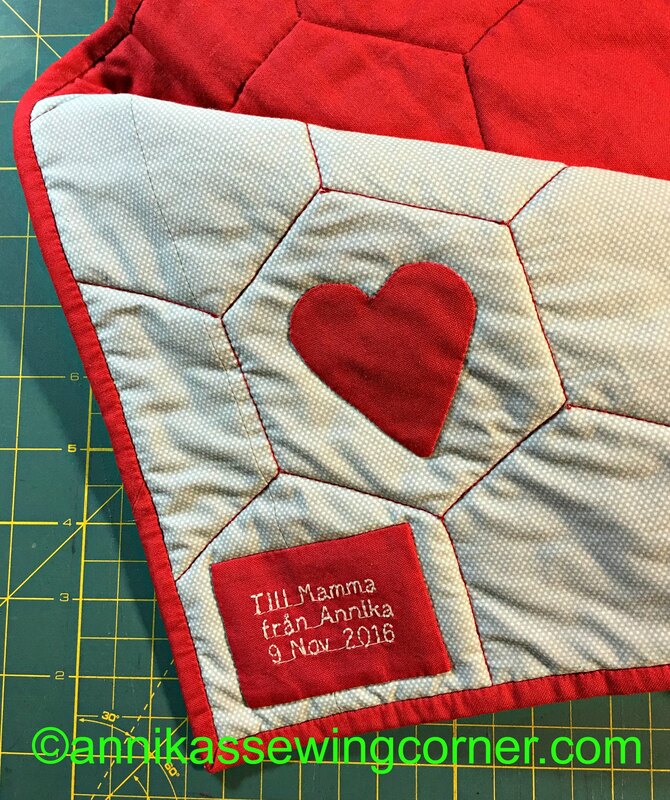 I also hand appliqued a heart on the back. It’s been a couple of years since I made a quilt but I think this one turned out great. I am very proud of it.